This article is a part of Medicine Stories, an exclusive series made possible by a grant from the Elna Vesara Ostern Fund. This is the second story in a series about the traditional medicine of the Wixárika (Huichol) Peoples of Western Mexico. 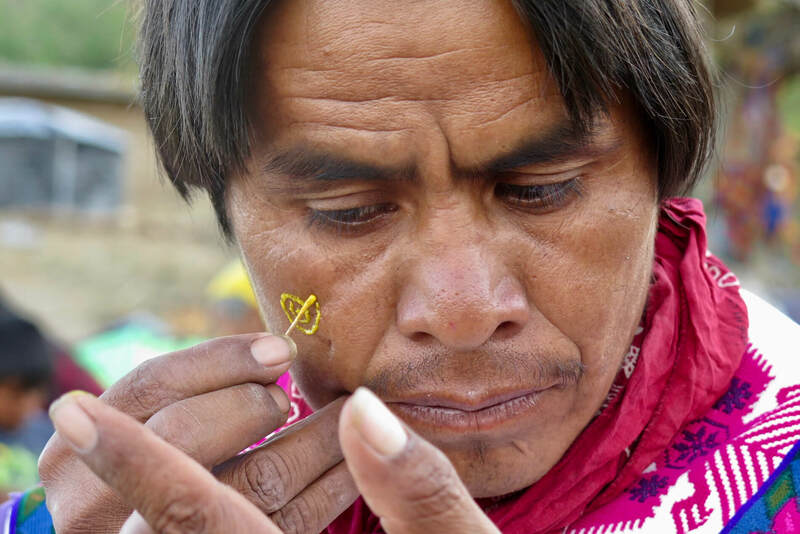 See Part 1, Healing the planet, healing themselves: Wixárika medicine transcends the personal. When a Wixárika elder speaks of his culture, he starts at the beginning of time. He then takes you through a storied journey to the five directions — the five cardinal sacred sites to which his people have travelled since time immemorial. 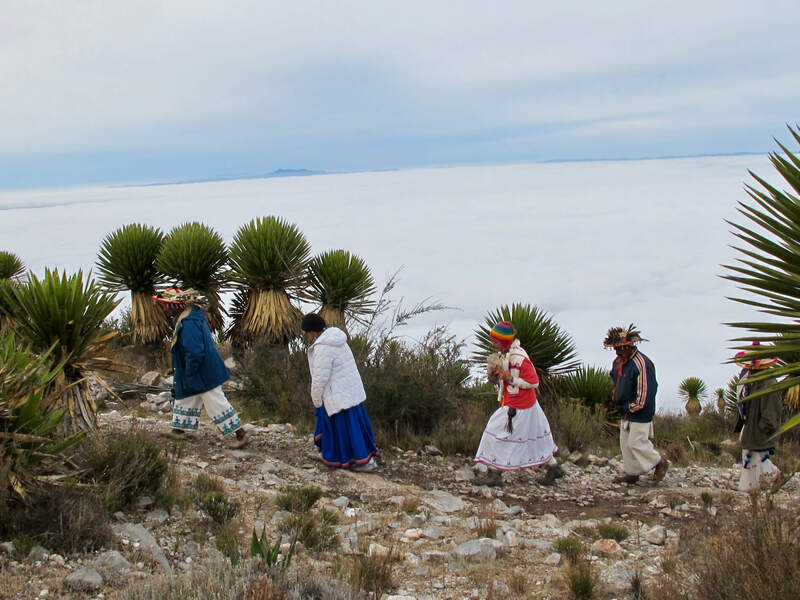 The Wixárika must cross half of Mexico’s vast expanse from desert to sea, in order to leave their offerings, gather the sacred waters and connect with the wisdom they need to live their lives. Each step on this journey and each stop at a sacred spring renews the essences of life and the reciprocal relationship between humankind and the more-than-human world. Dig a little deeper and you will find that each of those five principal sites—and many sacred sites in between—now face numerous threats due to incursions from transnational mining corporations, hydroelectric dams, commercialization, narcotrafficking and conflicts within the communities themselves. It’s a symbolic geographical representation of the existential threat that these iconic and deeply spiritual people are confronted with in this modern age. 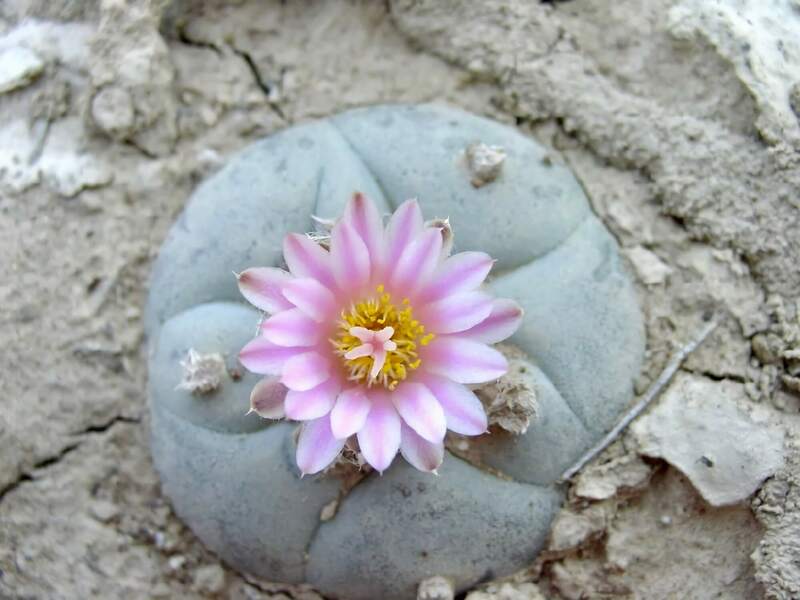 Compounding the situation is the troubling evidence that the medicine at the heart of the Wixárika cosmogony, Lophophora williamsii, peyote, or in their language, Hikuri, is rapidly disappearing. The cactus has come under unprecedented pressures in recent years, leading one researcher to predict its possible extinction in the wild within as little as a decade—if current trends continue. 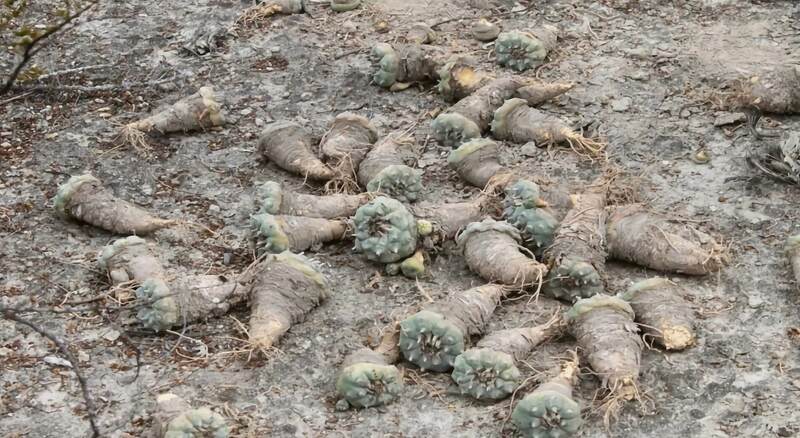 Others believe the threat is exaggerated, and plays into the hands of those who want to prevent access to what is a lifesaving medicine for thousands by classifying it as a Class 1 controlled substance – thrusting the ancient cactus into the maelstrom of Mexican peyote politics. Unfortunately, very little controlled research is being done to determine the true status of the species; all concerned, however, agree that its extraction has seen an alarming increase and that its habitat is under rising pressure. “I think it’s really important to try and understand how heartbreaking it is for so many of the elders… They often don’t say this in public but there is this sense of concern of what’s happening and what it could mean,” said Diana Negrín, a Guadalajara native, a researcher at the University of San Francisco and president of the board of the nonprofit Wixárika Research Center. The Wixárika creation story begins with the first humans landing on the Pacific Coast of Mexico at a place they call Haramara, a sacred site where the Mexican government has ceded land to developers for a mass tourism complex. The Wixárika believe this project has altered the hydrologic cycle of the region, causing it to dry up the springs connected to the watershed. The loss of their water supply has compelled indigenous communities of the area to turn to nearby contaminated rivers for their water needs, the Regional Wixárika Council has alleged in a formal complaint issued in February of this year against the government and the developers. The use of this water has led to the eventual death of at least 15 indigenous community members, including children. Today’s Wixárika pilgrims follow – sometimes in pickup trucks, sometimes in buses, but always with long treks over the rugged landscape – in the footsteps of their ancestors on the trails that connect Haramara in the West to Wirikuta in the East, the sacred desert where their sun was born, and where they go to gather their medicine and seek guidance and orientation for their lives. That desert is under threats of its own from transnational mining companies, large-scale industrial agriculture, peyote traffickers and now a hydroelectric dam project. Much of the protected natural area of Wirikuta has been concessioned to transnational and Mexican mining companies by the federal government, opening the way to an unthinkable desecration for the Wixárika people. A mass movement and court orders have held those mines in abeyance, but those restraining orders are working their way through the court system and could soon be overturned. Each of the five cardinal directions has its own threatened site: Xapawiyemeta, the Island of the Scorpions in Lake Chapala, a heavily impacted lake whose water is piped into Guadalajara for that city’s use; the island itself has been thoroughly commercialized for tourism, with taco and beer stands within a stone’s throw of the xiriki, a house for the gods where pilgrims come to leave their offerings. To the north, Hauxa Manaka, Cerro Gordo in Durango is plagued by narcotraffickers, as is the homeland and the sacred Center. 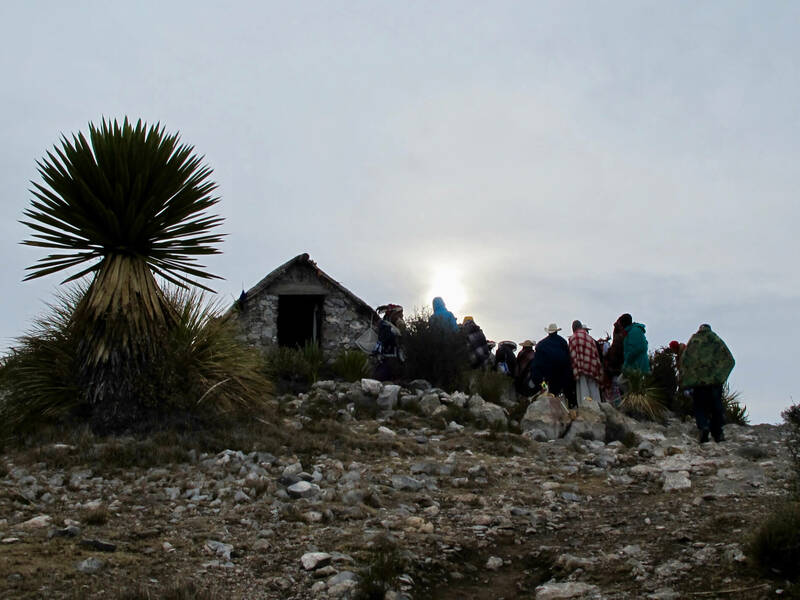 Beyond the five principal sites, the Mexican landscape is dotted with literally thousands of other sacred areas, many of which are currently under threat. For the Wixárika to follow their religious path and lead a successful and happy life, they are obligated to travel to each of these cardinal sites personally, at least once, and depending on their assigned position, perhaps many times. Failure to do so – no cumplir – is punishable by terrible misfortune. Negrín recently participated in the International Congress on Sacred Plants in the Americas, held in February in Ajijic, Jalisco, and the heightened concern over the issue was evident. The sad irony was lost on no one: The increasing appreciation of the value of this medicine in healing the wounded human spirit and exploring the potential of human consciousness comes at a time when the plant itself as well as the culture are uniquely challenged. One of the presenters at the conference was biologist Pedro Nájera, who did a four-to-five-year study monitoring 70 different sampling transects within the protected area of Wirikuta and other sites in the Chihuahua Desert. 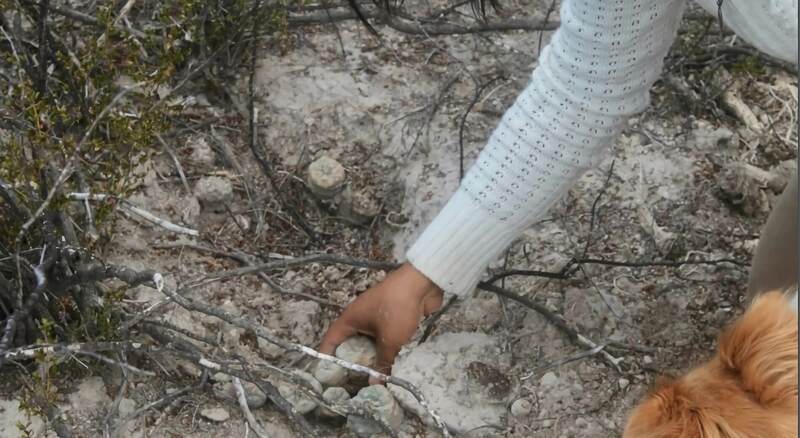 Tracking an alarming drop in the number of peyote buttons, Nájera’s study found that 50 of the 70 sites were severely impacted, with a 40 percent reduction in the number of cacti counted. Twenty of them, most of which were in the extremely remote harvest areas associated with Wixárika ceremonial sites, showed a slight growth in species. Nájera estimated that if current trends continue, the species could be driven to extinction within 10 to 15 years. The cactus is extremely slow-growing, Nájera said, taking 10 years to reach reproductive maturity. 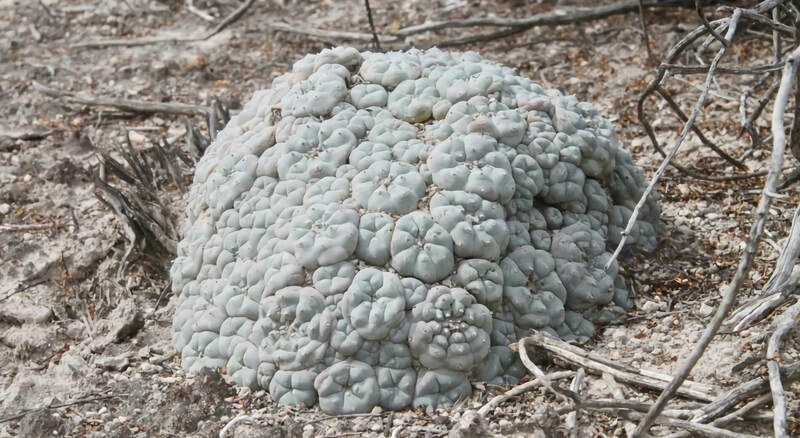 Contrary to popular belief, cutting the largest fruiting body in a cluster of cactus makes it incapable of sexual reproduction; cloning is still possible but the plant becomes more vulnerable to predators and to frost, he said. He documented multiple instances of such damage to traditionally harvested cacti. Others make no attempt to preserve the root, simply taking the entire plant. At one point, he saw a huge family of peyotes calculated to be 100 years old. The next year it was gone; only a huge crater was left. Aukwe Sofia García, a young Wixárika leader who serves as a spokesperson for the Wixárika Regional Council, is deeply concerned about the decline of the species, and like many of her people, attributes the spike in extraction to people who do not have a cultural connection to the plant. For those people, they can turn to other types of medicines, she said; but for her people, the peyote is their sole connection to the Divine. Armando Loizaga, of the Nierika Center for the study and preservation of traditional sacred plants, was another presenter at the Sacred Plants conference. 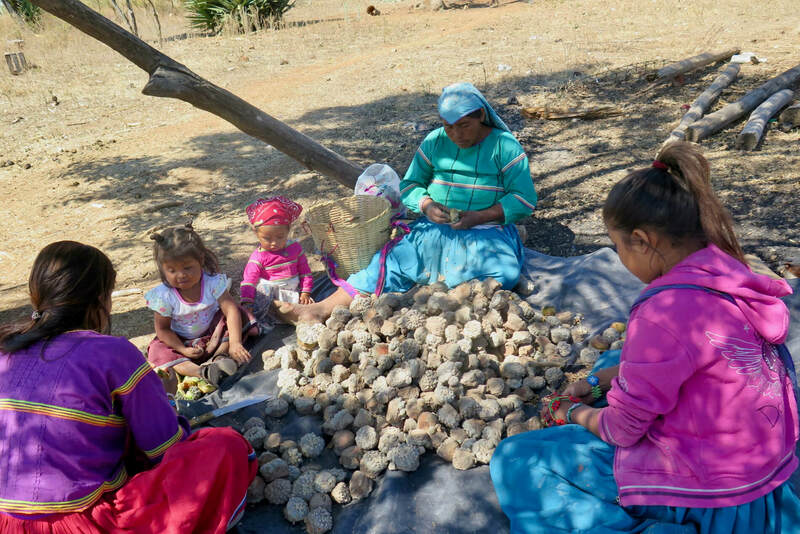 Loizaga made it clear that the Wixárika are far from the only group that considers the peyote a sacred medicine. A leader of the Native American Church in Mexico and closely linked with the Church in the U.S. and Canada, Loizaga is also a licensed psychologist and a strong advocate for the plant’s legalization for therapeutic use. “You can see how it has restored many indigenous people by embracing their culture,” he said. “The peyote is kind of a transversal element; it doesn’t matter which tribe you’re from, you take it through the Native American Church and you just become more Lakota, more Diné, more Kiowa, more Cree. So it’s a very important medicine for the future of Native American people — but not only that it’s good for humanity. He acknowledged the importance of Nájera’s work but called it “a bit alarmist,” given that the plant is still relatively plentiful and that there are virtually no other recent studies that explore the matter. 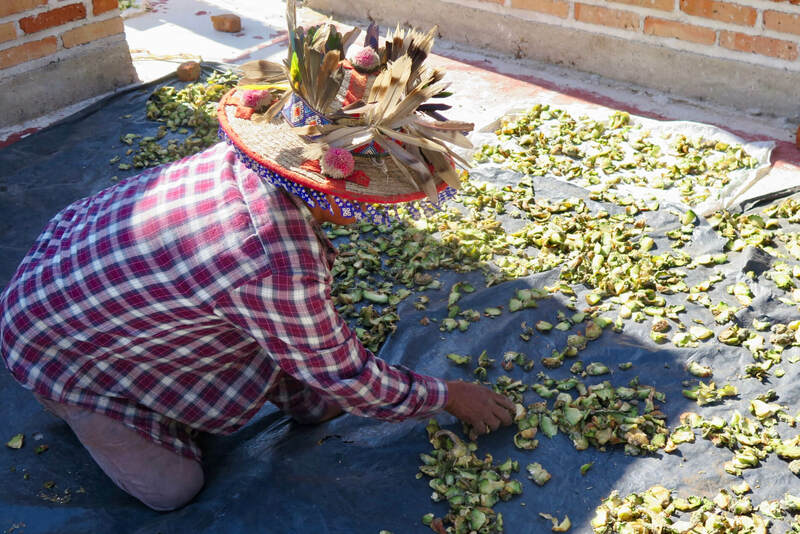 Nierika is currently a partner along with the Native American Church and the River Styx Foundation in the Indigenous Peyote Conservation Initiative, which has purchased 605 acres of peyote habitat in South Texas and is working to reforest it. The project also seeks to work with Wixárika leaders to establish a systematic monitoring project and a conservation management plan for the resource in the Wirikuta area. At the conference and also in a February article in the international magazine Xerophilia, Nájera presented a table based on 1976 data from biologist Richard Evans Schultes, considered the father of ethnobotany. The data showed that members of the Native American Church are by far the largest traditional consumers of peyote, both in terms of number of ceremonies (weekly in the U.S. and Canada, monthly in Mexico) and in terms of the quantities consumed. Wixárika communities traditionally consume the medicine in one annual ceremony following the spring pilgrimage, but researchers say that is changing, as well, in part due to growing interest by non-indigenous people in attending ceremonies. 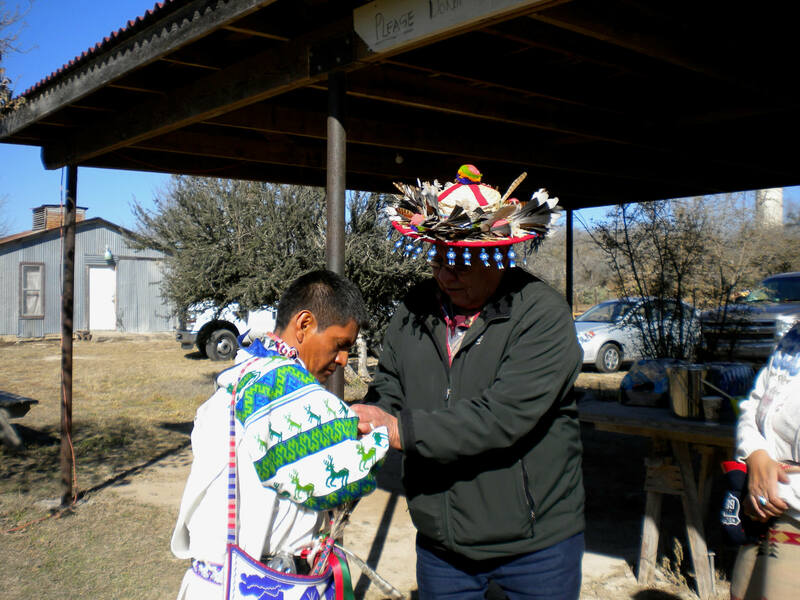 Loizaga called the data misleading, saying that the vast majority of Native American Church consumption is in the U.S. and Canada and comes from several extensive ranches in South Texas controlled by dealers licensed by the U.S. government. The Native American Church of Mexico does harvest its medicine in Mexico, he said, but has a much smaller membership and impact. He, too, however, is concerned about the recent spike in extraction, and attributed it to traffickers for the international market. “The concern is real — but it’s not the Native American Church, and it’s not even people who use it in a tipi,” he said. “It’s a gang of people who are overharvesting, and they apply some kind of chemical to produce a separation of the vegetable product and they extract the totality of the 80-plus alkaloids into this very fine golden dust. And they sell that as mescaline – and it’s not mescaline, it’s just extracted peyote. And that industry needs to be stopped… so maybe there you do a little intelligence work and you go get them. You can’t just go out and be chopping heads and say everyone who is not a Wixárika and is using the peyote is breaking the law. However, an organized crime type of enterprise where they are extracting tons of peyote, and working in laboratories in San Luis Potosi, well then let’s go get these guys — because that’s where the extraction is actually happening. Sandor Iron Rope, past president of the Native American Church of North America and currently president of the South Dakota chapter, was emphatic in his rejection of the idea that Church members are coming down and sacking the peyote population in Wirikuta. Iron Rope attended the Sacred Plants conference as well and was taken aback by the direct attacks on him and other Native American Church representatives – in one case by mining company representatives, but in another case, by a conference attendee who accused him personally of sacking the desert. Beyond the logistical difficulties of trafficking the plant, there’s another factor inhibiting Church practitioners from sourcing their medicine in the black market: It’s against their religion. He and Loizaga both wondered aloud if there was a hidden source of some of the anti-Native American Church sentiment: mining and other private development interests, for whom an indigenous union in favor of conservation in the desert could prove to be an impediment. Regardless of where that feeling comes from, Iron Rope said, it must be respected and addressed. 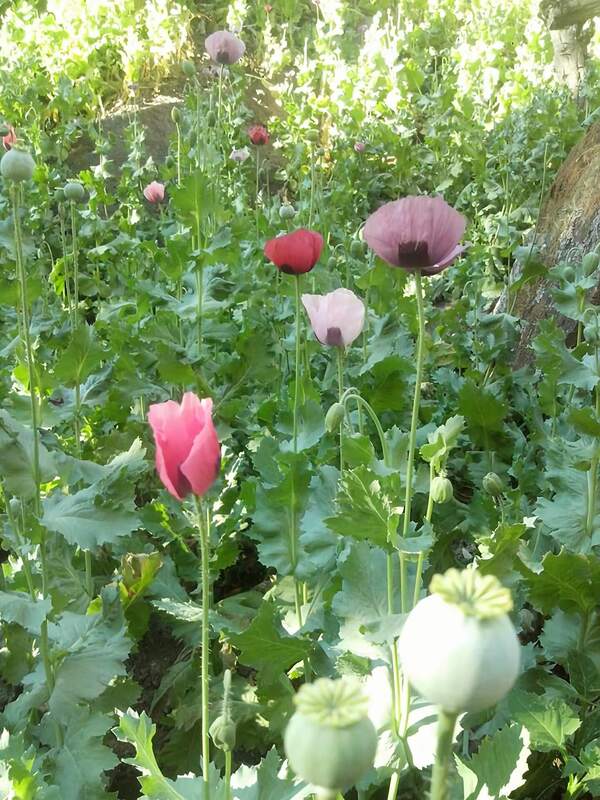 Beyond the spike in transnational extractive industries laying siege to Wixárika land, there is another, bigger and more menacing industry permeating the region: the red blush of opium poppies is spreading in Wixárika lands throughout the Sierra as the cartels grow in power and influence. Wixárika authorities are powerless to stop it; a year after the murder of Miguel and Agustín Vázquez, leaders in the long struggle to recover their ancestral lands, by cartel operatives, the assassins run free, and state and federal law enforcement appears to have washed their hands of the entire region. Someone else confirmed a worrisome presence, declining to speak further on the subject. But the next day, he sent photos of poppies. More mundane and also more omnipresent incursions of modernization are everywhere. Negrín grew up immersed in the Wixárika culture through the work of her parents Yvonne and Juan, and especially her father, who began developing an intimate relationship with one of the most remote and insular communities, Santa Catarina or Tuapurie, in the 1970s before highways came to the region. Since that time, cell phones and satellite dishes have brought mass culture to the Sierra, and young people compelled to continue their studies in the city often drift away from their traditions. Fewer and fewer youths are taking up the hard path of the mara’akame, said Negrín and Garcia, who herself studied law and communications at Guadalajara’s Jesuit university ITESO before returning to her community of San Andrés Cohamiata to help support the continuation of her culture. “The lack of interest is like a hallucination — maybe because of technology, the different way of looking, the religion,” she said. “The Wixárika did not have that, we always had our own culture, our traditional practices, then when discovering that new world one wants to adopt another kind of culture, dress differently, listen to different music, that makes a person feel good because a stereotype has been created, that that is the good thing, and people have forgotten what is our culture, that we have subsisted through the years of history, and that right now we are leaving the culture. And the evolution of culture is valid but conservation becomes more important then, because otherwise we would become the same as so many without culture, without an identity of their own. “As a solution to this challenge it is ourselves as a culture and a family, wanting to share this culture with our children… Often people who know do not share it easily, even with their relatives, so it is necessary to open ourselves to the younger generations, who also learn from this science, culture, tradition, art, healing, vision, learning to master oneself so as to achieve it, so the first challenge is with our own selves. To that end a mixed blessing has been the increase in interest and visits from non-natives, even in the most remote communities. “It’s a complicated thing because there’s something very powerful about the way the Wixárika approach the world and our way of being in the world – and also their way of approaching healing,” said Negrín. “In that approach, one has a huge responsibility to sacrifice and to have a reciprocal relationship with people around us and with the Earth. “That said, I’ve heard of all the internal conflicts caused by the practice of (non-native) accompaniment. And I’ve heard this not just from non-Wixárika who have engaged in the rituals and consumed peyote. 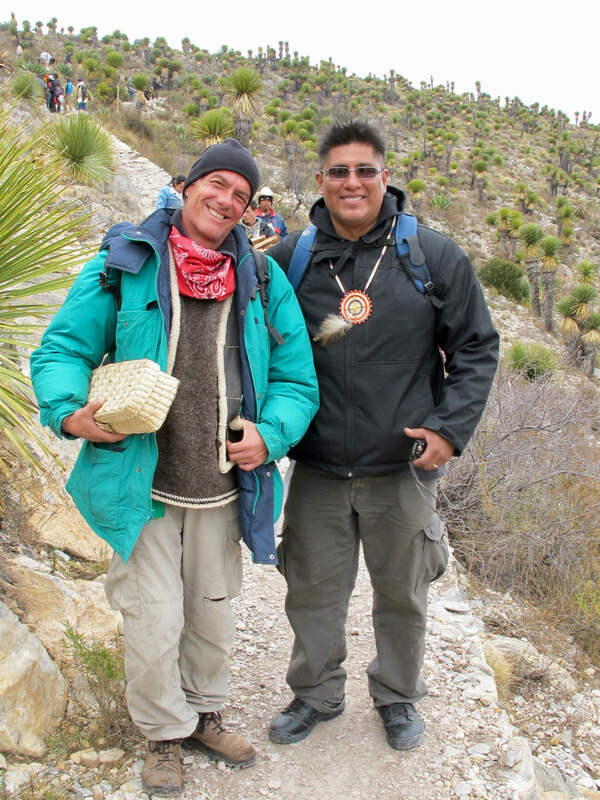 For the most part, people first had an encounter with the peyote and wanted to find a way to understand the experience, which often brought them to Wixárika culture. Some shamans have been forced to leave their communities for bringing in outsiders without going through the proper channels, which can in some cases be arduous. Others have been fined money for giving information to a researcher or even having a ceremony with people they’ve been close to for years, Negrín said. This resentment partially stems from different philosophies about sharing the culture; partly it’s because of the scarcity of basic resources suffered in the communities, where a shaman can be seen as “selling” to a foreign public a gift that he’s been given for the care of the community. And partly it’s because of the critical role that mara’akate play in their communities, said Carlos Chávez of the nonprofit Jalisco Association in Support of Indigenous People, or AJAGI, who has worked with the Wixárika communities since the 1970s. To Iron Rope, the answer is unity through mutual respect – and prayer.